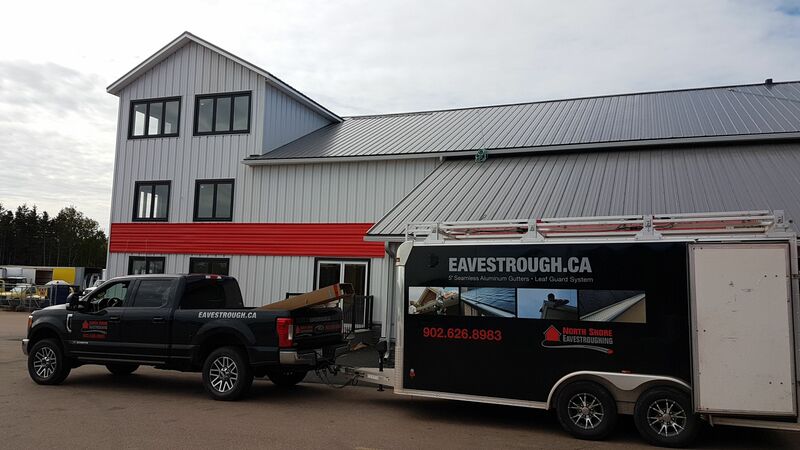 North Shore Eavestroughing was created by Darren and Angela Perry in North Rustico, PEI, in 1995. They named their company after the part of PEI where they grew up and where they are located. Over time, they became the largest eavestrough company on the island. After a period of time in Toronto, they have returned and the business is flourishing. North Shore’s installation has been featured on CITYTV CityLine by designer, Karen Sealey. Darren spoke as an Industry Expert at The National Home Show in Toronto and The Hamilton Ideal Home Show. He has appeared on The Shopping Channel and the HGTV’s series The Big Flip. They have won the HomeStars award in Toronto for best in the Gutters and Eavestroughs category five times, including for 2018. Part of the company’s success could be attributed to the respectful and polite manners that the owners brought from down east. Another part could be their commitment to thorough work in estimating, planning, installing, testing and checking installations. Estimators give advice and written estimates are provided. Homeowners are very pleased that North Shore installers are skilled, very knowledgeable and provide thorough cleaning up at the end of the job. North Shore never subcontracts as it is harder to maintain the high level of quality that they wish to uphold. “The job is not done until the client is happy,” has always been the hallmark at North Shore. Darren has created a treasure trove of information for homeowners. His YouTube channel is extremely popular with close to 3 million views. Probably the best publication is “Walking on eavestrough/gutter test.” In this one you can see Darren, company owner, walking on an eavestrough installed with Alu-Rex’s T-Rex. His whole weight is supported by the eaves reinforced with the T-Rex. In other videos, viewers can see how the Alu-Rex T-Rex snaps into the eaves and makes a strong unit to be installed on their home. Some videos outline unusual projects and others the trials any installation company might have, such as how do you retrieve a measuring tape that has fallen down a drain pipe. YouTube viewers from across Canada and the U.S. call asking questions and wanting advice. They see Darren and North Shore as the experts on all things related to gutters. North Shore Eavestroughing also manages its own blog. Customers actually learn a great deal about their eaves, fascia, roofing, de-icing cables and what to look for when hiring a renovator. You can also check out the Facebook page where you can see Darren and North Shore staff showing some of the day-to-day fun and challenges. 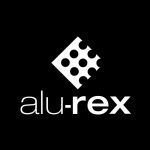 Teaching homeowners about the many benefits of Alu-Rex’s T- Rex and Gutter Clean System means they are able to make informed decisions about their home renovation.